Over the centuries of development in China, Kung Fu has become a large system containing various styles or sects. As more and China kung fu movies go abroad, more and more foreigners have knew China Kung fu. They want to learn kung fu and like to play as the kung fu heroes. And many kung fu training centers or clubs have been established at home and abroad. It is recorded that there are over 300 distinct types of kung fu classes around the country. 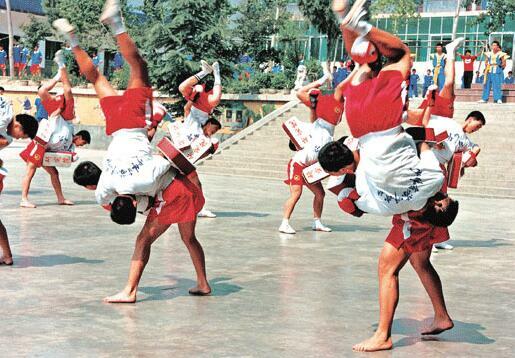 The kung fu schools in northern and southern China are quite different. Therefore it is hard to be simply introduced. For people who want learn real kung fu, a strong will and persistence is the precondition for learning. And then, one should follow a master or join a training school to learn systematically. The basic skills of legs, waist, shoulders and stance training need to be practiced daily. Employing the solid foundation of the basic skills, one can choose from the various sects to learn specific routines of boxing, kicking and weapon skills, to improve the combat ability. Now I will take about the main kungfu schools in China for you conference. 2.1 The first type is comprehensive kung fu school. 3 How to choose best kung fu schools in china? When we chinese say a “wushu school”, It’s different from the common national schools, most of the wushu or kung fu schools are private school, they have their own time schedule and classes scheme. For chinese young kids, there should offer same basic academic lessons that the government asked. But for adults, there will be give some lessons about buddhism and kung fu culture. And for foreigners, mandarin training and culture course will supply to help the students learn and live better. The most widely practiced and popular martial art in the world today, Taiji Quan is characterized by its slow and graceful motions and its combination of both hard and soft techniques. Taiji Quan comprises of well-known styles including Chen, Yang, Wu, Sun and Wu (Hao), and is popular due to its health building and longevity benefits. Taiji Quan is defined by slow motions, coupled at times with explosive bursts of force, which require total harmony of motion and breath, concentration and co-ordination of the entire body and spirit in a continuous practice. Qigong (pronounced chee-gong) is an ancient Chinese exercise and healing technique that involves meditation, controlled breathing and movement exercises. There are many forms of qigong practiced throughout the world. Some of these forms involve breathing and meditation to promote spirituality and health while others are more vigorous and include martial arts exercises. Tai chi, a widely practiced mind-body exercise, is sometimes referred to as a form of qigong because it “cultivates, moves and helps manage Qi,” according to Wayne. 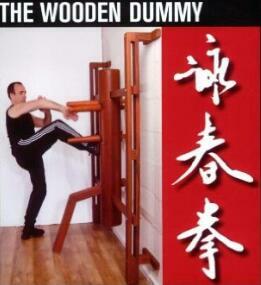 The history of Wing Chun is one that can be considered an intermixing of both fact and legend. The origin of Wing Chun lacks consistent records as martial arts practitioners were forced into hiding. There are twon famous Wing Chun masters you may know from the movie: Yip Man, or Ip Man, is a martial arts master best known for teaching the Wing Chun form. Kung Fu master and icon Bruce Lee was one of his students. That’s why Wing Chun is very know and have taught in most kung fu schools. The last one is Shaolin kung fu schools, as we know “all China kung fu root in shaolin”, so shaolin kung fu school is the most famous and numerous. The shaolin kung fu now have 708 forms, include 552 Quangshu and weapon froms, 72 secret skills, and other unique kung fu skills like Qin na, Ge dou(combat), Xie gu(detach bone), Dian xue(acupoint) and Qi gong. If you want learn kung fu, find a best fit shaolin kung fu school is easy, and you can still learn other kung fu styles in the same school. There are thousands of shaolin kung fu schools in china, thses schools are localed in different provinces, some have more than 10 thousands students and some only get dozens of students. Their training costs are various. It’s hard to give a list each schools, but I will choose some schools of different types to make a quick guide. The first type is comprehensive kung fu school. 1. They are localed far from shaolin temple, but their coaches have learned kung fu from shaolin temple(these coaches are called: shaolin monks), so they can teach shaolin kung fu in the school. 2. These school also have classes about Wing Chun, Tai Chi, Sanda and so on. Mostly, these kung fu styles or classes are train in basic level, just to meet more students’ interests. 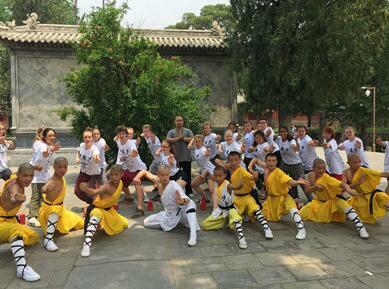 You may have seen lots vedio news about these school, as their wesite showed: there are photoes and pics about shaolin temple and monks; they have kung fu classes about shaolin kung fu, Wing Chun, Sanda (Sanshou), Tai Chi, Qigong, Bagua, Xingyi and Baji Chuan. What I want say is: the real shaolin abbot will never go out to teach kung fu. 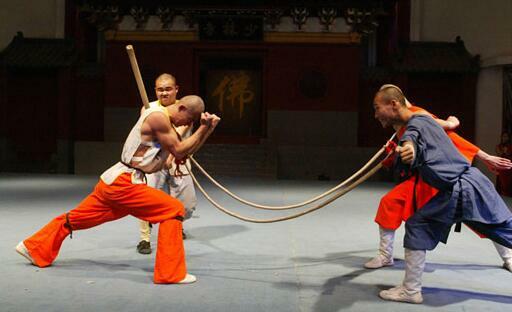 But if you are curious about chinses kung fu and culture, you can go thses school to learn basic shaolin kung fu. Anyway, Qufu City don’t have shaolin temple, but it’s the hometown of Confucius. When you search online, you will see much information about this school. It is localed in the east of China, Kunyu mountain range, it’s birthplace of Taoism (Quan Zhen Religion). The main classes are: traditional Shaolin kung fu, Wing Chun, Chi Kung (Qigong), Tai Chi, Wudang, Xingyi, Bagua, Baji, Mantis boxing and Sanda (Chinese kick boxing). They are in the Taoism home town, so most of classes like tai chi and bagua are related with Taoism, if you want learn some training mothods to be healthier, it’s a choose choice. Of course, the school have very beautiful scenery, collects monks from shaolin temple and masters for other kung fu styles. 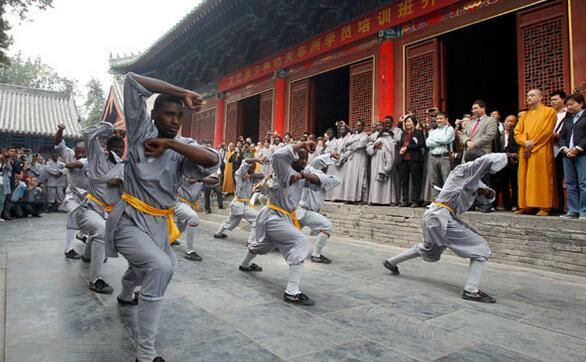 These kung fu schools are localed in Dengfeng city, Henan province, in shaolin scenic spot. They coaches are real shaolin monks and teach the kung fu they learn from shaolin templ. The key classes are about shaolin kung fu forms, you can choose one narrow from or style you like best, and learn systematic for a certain time. This is a professional shaolin kung fu school, teach all shaolin kungfu forms you want. You can learn the basic skills of legs, waist, shoulders and stance training. And then forms about: staff, spear, broadsword, straight sword, various other weapons, combat, equipments, performance sparring, sparring with weapons, etc. Furthermore, the Buddhist Classes, Wushu Performance also offered, even have Chinese Language Course and Chinese Calligraphy for foreigners. Except the two types above, there still have lots of shaolin kung fu school near shaolin temple. Some schools in small size have they special advantages in many field. You can choose one fit your needs best. How to choose best kung fu schools in china? Which kung fu style you like? What kung fu classes they open? How many coaches and students they have? Training cost and your budget. How long time you want to stay and when like to learn? Let’s take a small school Shaolin Temple Quanfa Institute as example. The school is localed in dengfeng city, nearby shaolin temple, at the root of Sonshan mountain. The scenery is very beautiful and traffic is conventent. People live there know shaolin temple well, and most of them can tell you stories about the shaolin and kung fu. There is four seasons, have different experience when you training. Of course for short time course, you can choose one season you like to train. This school have work with Zhengzhou University, teach in the Sport Institute, the building and training place have great condition, and the surrounding won’t let you down. For accommodation, they have air conditioner and wifi in rooms, you can choose private room or 2 person, 4 person room. The food and accommodation won’t take much, under $2000 per whole year. Usual they have less than hundred students. So every students and get enought training and guiding from the coach. They don’t have too much classes, but each class can be tauch at high level. Even the little kids can get good care both in training and daily life. If you are foreigner, you can can choose short holiday course (like one month training course) to learn a shaolin quang form or handle one weapon for performence, or get basic kung fu training then you can practice when you back. Generally speaking, the big size school have more classes to choose, and more students to teach, the talented people will shining brighter and get more concern. For the team performance, more people training together have more chance and possibility. If choose samll school, the total resource will be limited, but you can get more care and guide, and the poeple relationship will be warmer and more friendly. Learn kung fu in China, just follow you heart. But if you want further tips, I’m glad to help.